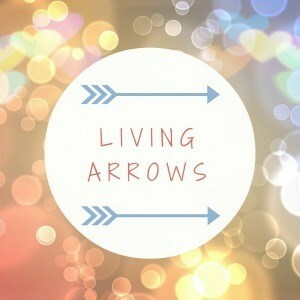 This will be my first time joining in with Donna’s Living Arrows Linky. I Hope to join in every week this year. I think it has such a beautiful meaning behind it. The project originally took it’s name from a poem by Kahlil Gibran, “You are the bows from which your children as living arrows are sent forth” and every Monday the idea is to share a moment from our week. As this is my first post, it is quite a special one. It is a picture of my children with my dad. I couldn’t be more proud to call him my dad. He really has made me so proud throughout my life. He has overcome so much in his life (as has my mum). My dad and I have had some rough patches growing up, mostly through my teenage years. But now we are thicker then thieves. I like to think we both understand each other. And I look forward to his big cuddle when he comes to visit us. As your parents get older your relationship evolves. I think it becomes more apparent then ever that they need your support and your friendship. My children adore all their grandparents. They especially look forward to their granddad coming to visit on the weekends. They both absolutely adore his stories and will sit with him for hours. He tells them about falcons and how they can carry animals as big as them because they are so strong and have a huge wingspan, he shows them videos to feed their imagination. They both love it. My dad is a surfer and has many magical stories he tells the children some I remember myself. Seeing dolphins swim next to him, a penguin sitting on his surf board and being chased out of the water by a shark is one story I remember very clearly myself and it still gives me chills when I think about it. I was at the beach with him when that happened. I remember the waves being fierce and crashing hard onto the rocks and my dad surfing for dear life back to shore. A few fisherman had spotted a shark and my dad was the last surfer to hear and paddle back. My mum and I had been waving frantically at him. He did make it back and climbed onto the huge rocks in the gully. It was a scary moment but thank goodness he made it to safety. He is quite a storyteller my dad, I don’t know if he realises. He does have a lot of stories to still tell them I am sure. 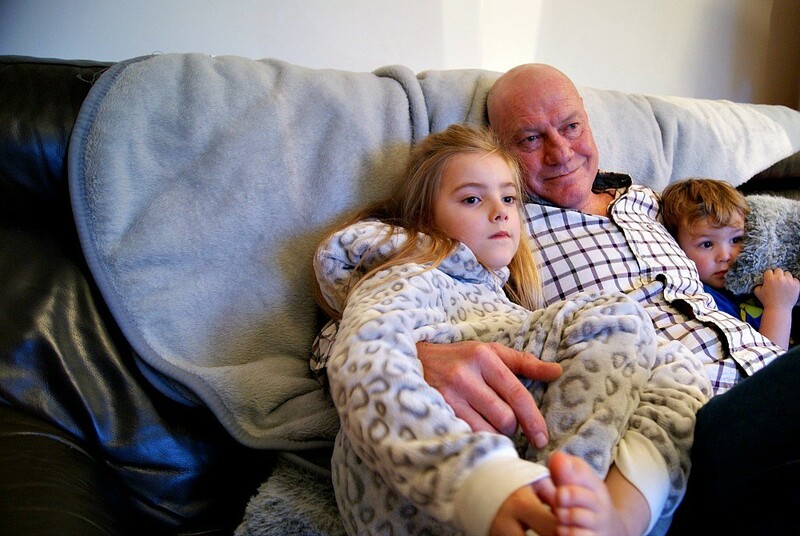 This photo was taken when he visited over the weekend, they were watching the Trolls together. Granddad had not seen it and they wanted him to watch it. At the moment it is their favourite film. Archie is hiding behind the pillow as he has not taken a liking to the Bergens. Bless him. 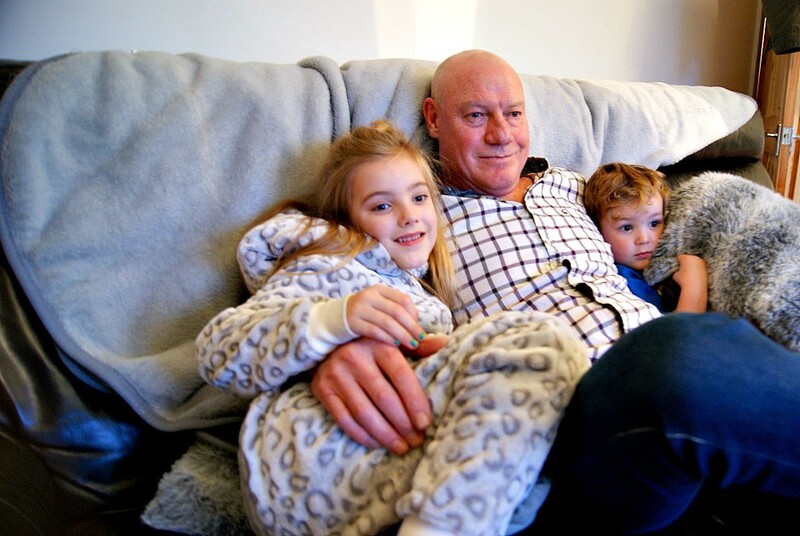 Looking at this photo has made me realise it is about the only one I have of the children with their granddad, let alone all their grandparents. Minus a few I have on this blog of my dad with Archie. It has made me more determined then ever to capture the children with their grandparents, their aunties and uncles. I do talk about family a lot on my blog as they are so important to us. I would like to make a conscious effort to carry my camera around more when we see them and I am going to take photos of them all with the children. I want my children to remember the moments they share with their grandparents. They are so lucky to have them all. Grandparents are very special. They are an extension of the family unit. And it was them who gave me the opportunity to be a mum and for that I am thankful. Fabulous photos and oh my goodness what an interesting man your dad is! I’d love to be able to surf properly, his amazing stories make me even more keen to learn. If only we lived closer to the coast!